Home » How to put and play 1080p Blu-ray movies on Samsung Galaxy Tab 2 10.1? When it comes to Samsung tablets, you definitely have a lot of choices, ranging from the original Galaxy Tab 10.1, Galaxy Tab 7.7, Galaxy Tab 7.0 Plus to the Galaxy Tab 8.9, and now you have the new Galaxy Tab 2 7.0 and Galaxy Tab 2 10.1. The Galaxy Tab 2 7.0 is considered as Samsung’s response to Amazon’s Kindle Fire, while the Galaxy Tab 2 10.1 is Samsung’s replacement of the original Galaxy Tab 10.1. The recently released Galaxy Tab 2 10.1 features two things that the former Galaxy 10.1 tablet does not offer: one is Android 4.0 Ice Cream Sandwich, and the other is a lower price tag. As lots of users wanna know how to put and play 1080p Blu-ray movies on Samsung Galaxy Tab 2 10.1, this guide will give you some hints in this respect. In order to watch 1080p Blu-ray movies on Galaxy Tab 2 10.1, you need turn Blu-ray into Galaxy 2 10.1 slate supported video formats in the first place. Ø Click on ‘Blu-ray Disc’ icon, ‘Blu-ray Folder’ icon, or ‘IFO/ISO’ icon to load your source files. 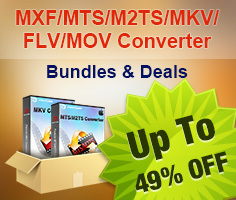 Ø Check the movie title you want to convert to Galaxy tablet 2 10.1, and preview the file you just selected from the Blu-ray movie in the preview window if you want. 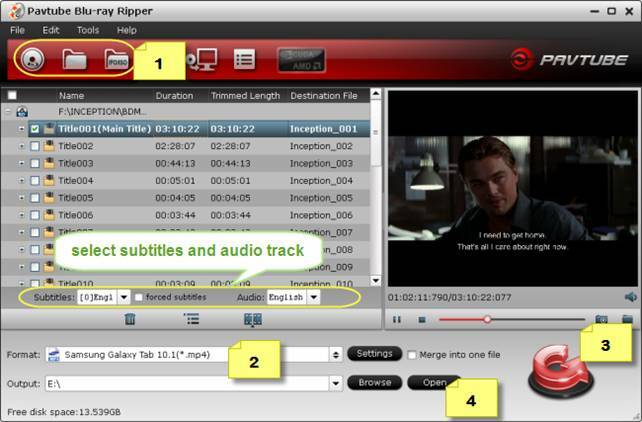 Ø Select wanted subtitles and audio track if necessary. Then when you watching Blu-ray on Galaxy Tab 2 10.1, you will have your wanted subtitles and audio track played. 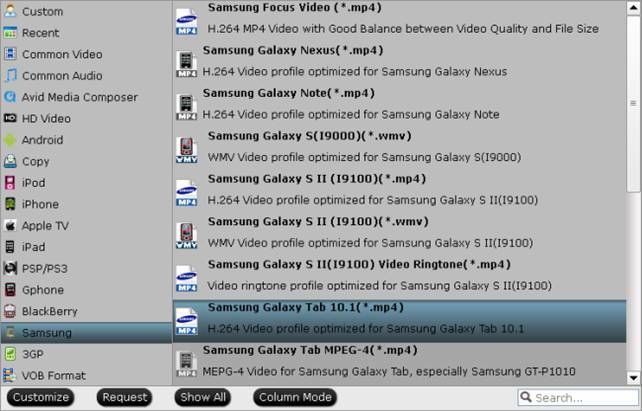 Ø Click ‘Format’ menu to choose ‘Samsung Galaxy Tab 10.1 (*.mp4)’ as target format from ‘Samsung’ preset option. Ø Click on ‘Settings’ button to adjust video and audio settings if the default settings do not fit your needs. Actually, you will benefit from a balance between file size and quality by using the default settings. As soon as you have the converted mp4 files, you are able to put and play 1080p Blu-ray movies on Samsung Galaxy Tab 2 10.1 without limits.